Many new smartphones were announced and showcased at CES 2018 last week. Some devices introduced new and interesting features, while other announcements confirmed US availability for certain smartphones. Consumers can expect to see some of the CES trends, such as in-display fingerprint sensors and face-unlock features, in more smartphones throughout 2018. Some of the top smartphone trends at this year’s International Consumer Electronics Show (CES) include in-display fingerprint sensors and face-unlock features for devices outside of the high-end tier. 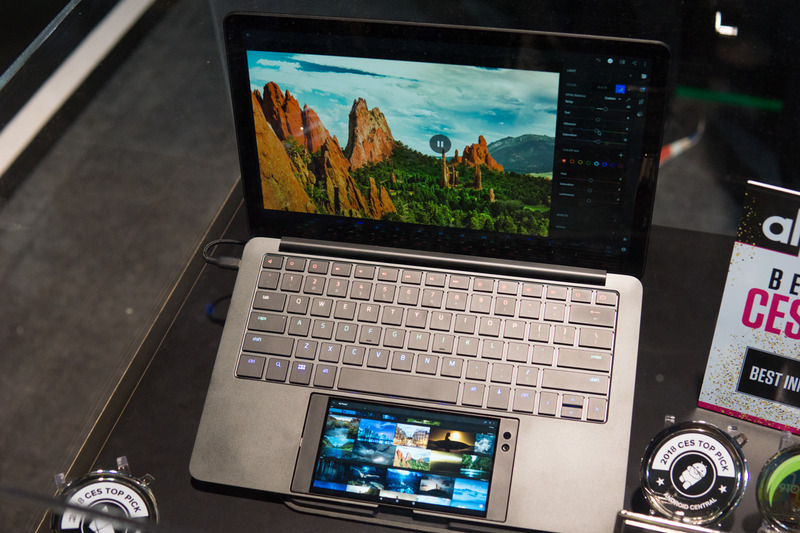 Many device makers introduced or announced US availability for their products during the Las Vegas convention as well. Consumers can expect to see many of the smartphone technologies showcased at CES 2018 not only in these recently-announced devices, but also in products to be unveiled throughout the year. The Vivo Phone is the first major phone with a fingerprint sensor embedded inside the display. VivoVivo places the Clear ID sensor under the OLED display, and that allows it to see through both that and the glass panel on top of it. Chinese manufacturer Vivo was the first to showcase a smartphone with a fingerprint scanner embedded into the screen. The device’s name is now confirmed as the Vivo X20 UD and it is expected to release sometime in early 2018; however, it likely won’t be available in the US. 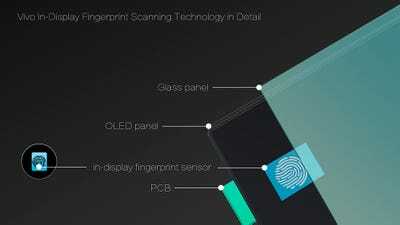 At CES, Vivo demonstrated the in-display fingerprint scanner technology, developed by the component maker Synaptics. The technology is called “Clear ID” and uses an optical sensor to identify the user’s fingerprints. The sensor is located underneath the device’s display, which allows it to maintain a full-screen look without any buttons on its front. The Vivo X20 is expected to be one of many smartphones to release in 2018 with an in-display fingerprint scanner. I got to check out the world's first phone with an in-display fingerprint scanner. The phone from Vivo will be available in 'early 2018' in select markets. 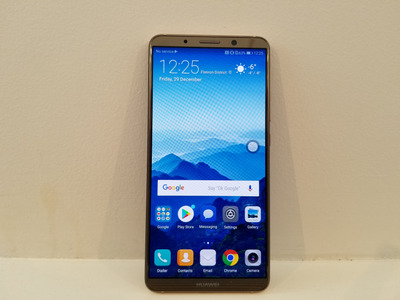 Huawei announced US availability for its Mate 10 Pro smartphone at CES, but unfortunately the launch was shrouded by controversy. The Chinese device maker was expected to announce the Mate 10 Pro would sell through AT&T in the US, but the carrier backed out of its deal with Huawei at the last minute before the smartphone was announced. Later reports indicated there was heavy government concern that Huawei’s devices may have security risks in the US. Still, Huawei is selling the Mate 10 Pro as an unlocked model in the US for $US599. Despite the controversy, the Huawei Mate 10 Pro has been well received by reviewers, who highlight its camera, battery power, and unique AI features. Huawei also showcased other smartphones, including the Honour 7X and Honour View 10, at CES. 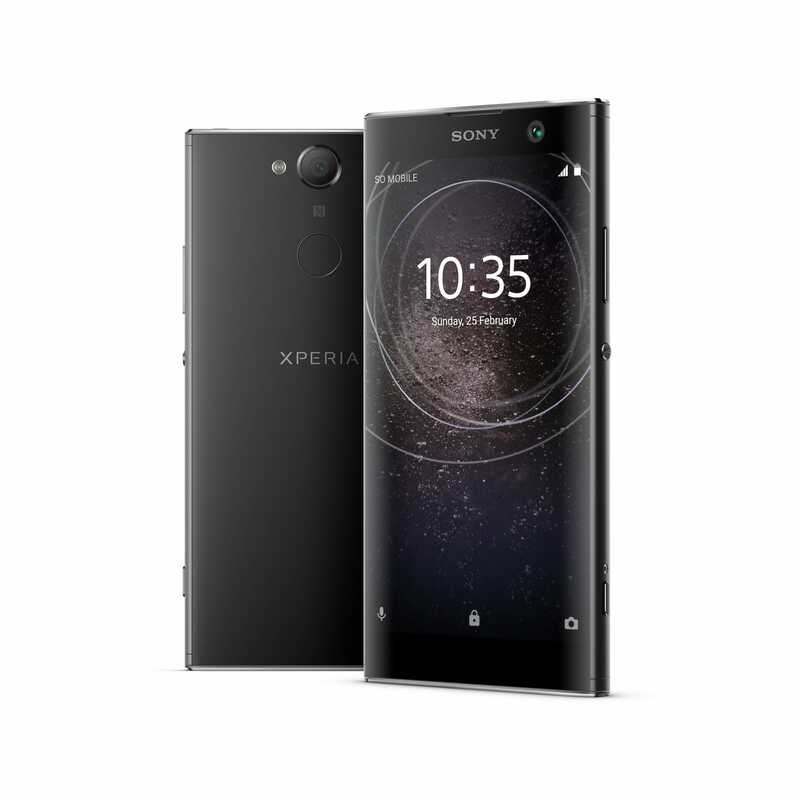 Sony announced three mid-range phones at CES: the Xperia XA2, Xperia XA2 Ultra, and Xperia L2. All of these devices include a long-awaited feature: rear-facing fingerprint scanners. Sony has been considered behind the trends by not introducing the feature, which has been popular for at least two years. Sony has not revealed pricing details for the smartphones, but they are expected to release in February. 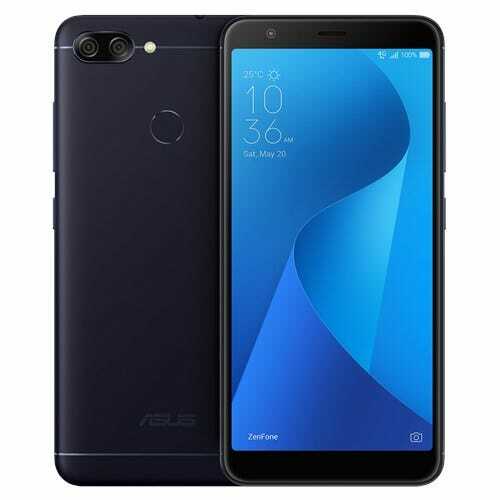 Asus announced the budget-friendly ZenFone Max Plus at CES, which includes a face-unlock feature. So far, facial recognition has largely been relegated to flagship-tier smartphones like the iPhone X, the Galaxy Note 8, and the LG V30. In addition to its security features, the ZenFone Max Plus includes a massive battery and a 120-degree wide-angle feature on its camera. The device will sell in the US for $US229 unlocked. The Chinese company TCL announced three new smartphones at CES, which will be available in the US. 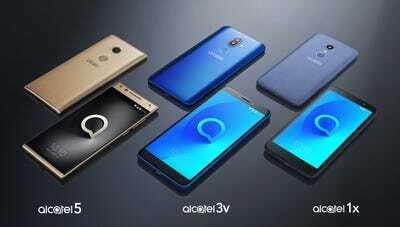 The Alcatel 5 is its high-end option, while the Alcatel 3V will be the mid-range product and the Alcatel 1X will serve the low end. Still, all of the devices are expected to be budget friendly. TCL has introduced an edge-to-edge display design on the Alcatel 5 and Alcatel 3V, while all three smartphones will include a face-unlocking feature. The BlackBerry KeyOne has been on the market for some time, but TCL used CES as an opportunity to announce US availability for the device’s bronze-colour option. 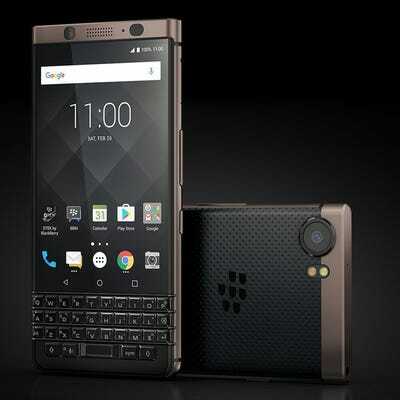 TheBlackBerry KeyOne Bronze Edition is the same as the original black model, which released in April 2017, just in a spiffy new finish. It does also, however, include dual-SIM support. Gaming company Razer showcased its smartphone and computer combination concept called “Project Linda” at CES. 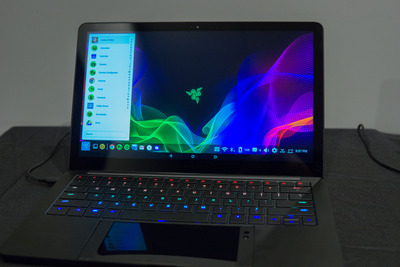 The concept uses the company’s new Razer phone to power a laptop. The phone serves as a trackpad, speaker system and second screen from the setup, while the smartphone’s Android apps run on the computer’s screen. Razer expects this kind of setup will be the go-to electronics product of the future.